The goal of the Individual Fellowships is to enhance the creative and innovative potential of experienced researchers, wishing to diversify their individual competence in terms of skill acquisition through advanced training, international and intersectoral mobility. Individual Fellowships provide opportunities to researchers of any nationality to acquire and transfer new knowledge and to work on research and innovation in Europe (EU Member States and Horizon 2020 Associated Countries) and beyond. The scheme particularly supports the return and (re)integration of European researchers from outside Europe and those who have previously worked here, as well as researchers displaced by conflict outside the EU and Horizon 2020 Associated Countries. It also promotes the career restart of individual researchers who show great potential. 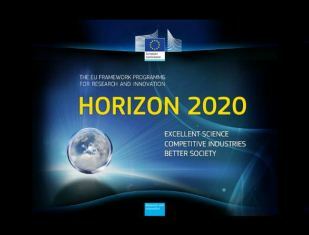 Support is foreseen for individual, trans-national fellowships awarded to the best or most promising researchers of any nationality, for employment in EU Member States or Horizon 2020 Associated Countries. It is based on an application made jointly by the researcher and the beneficiary in the academic or non-academic sectors. Only one proposal per individual researcher per call will be evaluated. Researchers receiving an Individual Fellowship may opt to include a secondment phase in Europe, notably in the non-academic sector, within the overall duration of their fellowship. For a fellowship of 18 months or less, the secondment phase may last up to three months. For a fellowship of more than 18 months, the secondment phase may last up to six months. The secondment phase can be a single period or be divided into shorter mobility periods. The secondment should significantly add to the impact of the fellowship. In the Global Fellowships, such a secondment can also take place at the start of the action at the beneficiary or a partner organisation in Europe for a maximum of 3 months, allowing the researcher to spend time there before moving on to a partner organisation in a third country. The beneficiary must be a legal entity established in an EU Member State or Horizon 2020 Associated Country and must employ and supervise the researcher during the action. This is a mono-beneficiary action. Only proposals foreseeing one single beneficiary are eligible. In addition to the above, for the IF European Fellowship (EF) Society and Enterprise Panel, the beneficiary must be an entity from the non-academic sector. Deadline: 11 September 2019, 17:00:00 Brussels time. Indicative date for the signing of grant agreements: Maximum 8 months from the final date for submission.